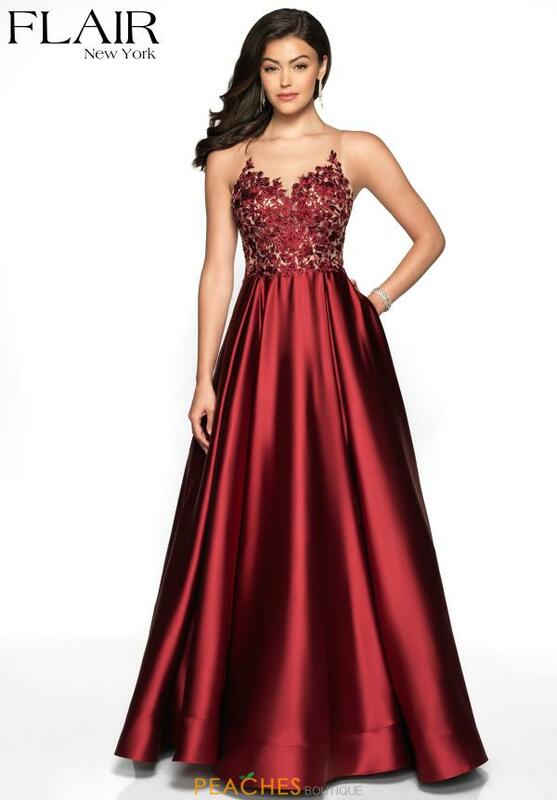 Have an unforgettable night in this Flair dress 19137 that will give you an elegant look. Showcasing an illusion high neckline with lace applique to bring out the elegance in the gown. A satin a-line silhouette that will be fun and comfortable, and also has hidden side pockets as well. Shop for more satin styles at Peaches Boutique in Chicago.